← Which Programming Languages Get Used Most At Hackathons? Thanks for this review. I’m taking this course starting 26th August. How helpful is the course towards python as a web technology? Django is a high level web framework that uses Python. This course doesn’t feature Django, since it’s more focused on CS basics using Python. Django makes it easier to build better Web apps more quickly and with less code. Anirudh, good review of the course. I just finished it as well. One question–you mentioned Trees being covered in Guttag’s book. Which section of your book has Trees? I wonder if I have an older version of the book (2013 edition) because the only Tree-related content in my version is in section 17.2.3, where BFS and DFS are discussed. 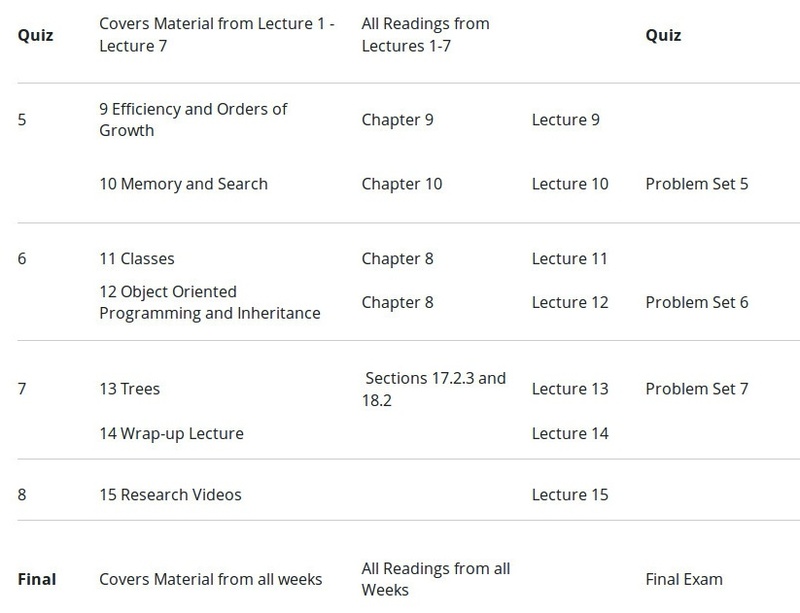 Although theory on trees isn’t quite detailed in the book, the main complaint I had was that concepts covered in the video lectures were not complemented with discussions on programming. 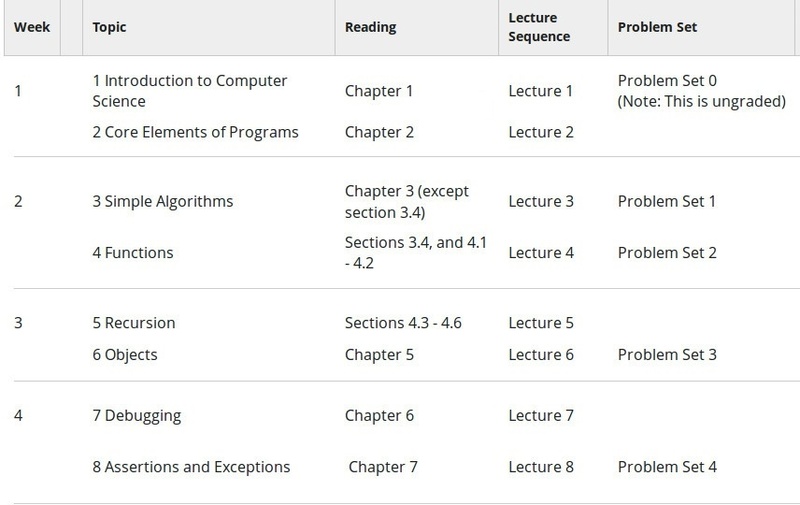 In addition to section 17.2.3, decision trees and dynamic programming is covered in chapter 18 of the book. But that too wasn’t enough. I got a lot of clarity from the script file treeSearch.py provided in the courseware.